Founded in 1995 by George Laham, Laham Development is a real estate investment and development company based in Wichita, Kansas. We create signature properties to meet the demands of the market and enhance the landscape of the community. Laham Development's commitment to the local community can be seen in our involvement in Wichita's vibrant northeast corridor. 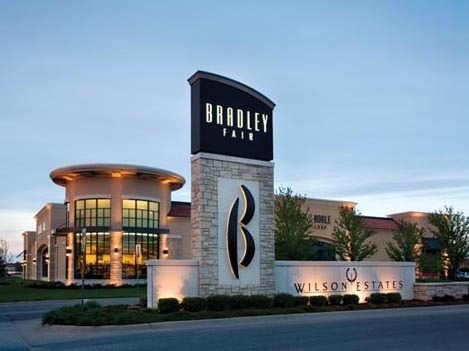 Laham Development established Bradley Fair, one of the nation's first lifestyle centers, as the flagship of the 320-acre Wilson Estates master planned development. In 2002 the Wichita Area Chamber of Commerce awarded their Keeper of the Plains Award to Bradley Fair, in recognition of an architectural project that contributes to the aesthetics of the community. Laham Development has been instrumental in bringing many of the nation's most popular retail and restaurant concepts to Wichita including Athleta, Banana Republic, Cabela’s, Chico’s, Gap, Newport Grill, Pottery Barn, Redrock Canyon Grill, Sephora, and Williams-Sonoma. Laham Development’s projects include Berkeley Square, a 95-acre master planned development at 13th and Greenwich, which includes residential, office, and the new Walser Auto Campus; Cornerstone, a 520-acre, master planned development that provides a complete community environment with Kansas Medical Center, Robert M. Martin Elementary School, neighborhood retail, office and residential areas; Plazzio, a 350,000 square foot retail and entertainment center located at 13th and Greenwich, including the 20-screen Warren Theatre and newly announced Chicken N Pickle; Regency Lakes, a 400,000 square foot shopping center anchored by Super Target and Cabela’s; and River Vista, a 202-unit luxury apartment project located on the west bank of the Arkansas River. In October 2019, Laham Development announced plans to further activate the Arkansas River with the addition of Riverfront Village. This 7-acre mixed-use development will be adjacent to the City’s $75 million baseball stadium, which is currently under construction. As the city that inspired the birth of the aircraft industry, Wichita boasts an entrepreneurial spirit and appealing quality of life. It has achieved the reputation of Aircraft Capital of the World, with an economy driven by Cessna Aircraft Co., Spirit AeroSystems, Hawker Beechcraft, Boeing and Bombardier Learjet. Wichita is also known for international businesses that include The Coleman Company and Koch Industries. The diverse Wichita Metropolitan Statistical Area (MSA) has a growing population of 637,989. Laham Development properties are exclusively represented by Christi Royse of J.P. Weigand & Sons, Inc. For additional information about our properties, please call 316.292.3919. © 2019 Laham Development • All Rights Reserved.